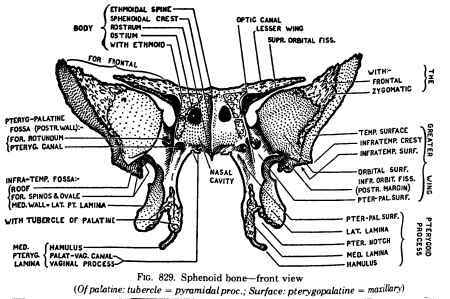 Random passers-by probably thought this was some kind of bat/demon/Lovecraftian horror, but those in the know would recognize it as the human sphenoid bone in anterior view. Tess writes, “Full disclosure, I did print out a template and used toothpicks for the outline.” Here’s her template image, borrowed from here. 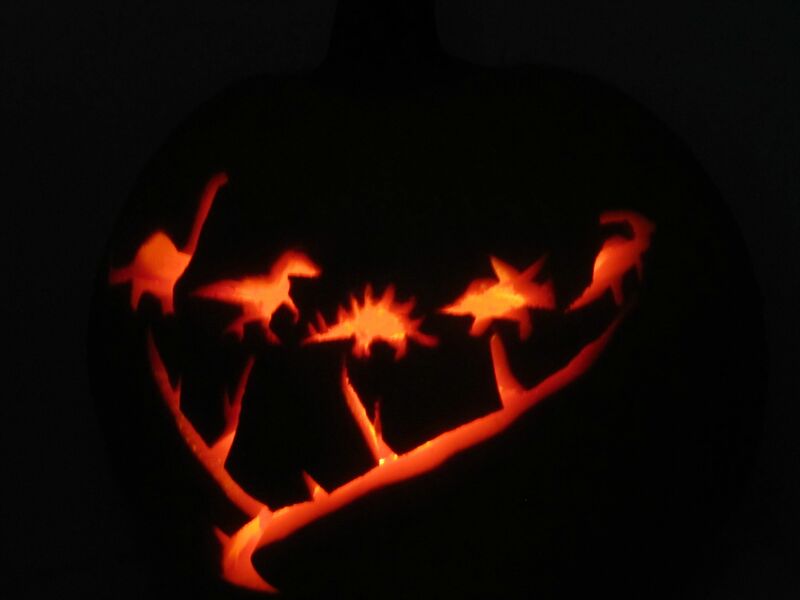 Any other anatomy- or paleontology-inspired Halloween geekery this year? Feel free to alert us in the comments. And well done, Tess! 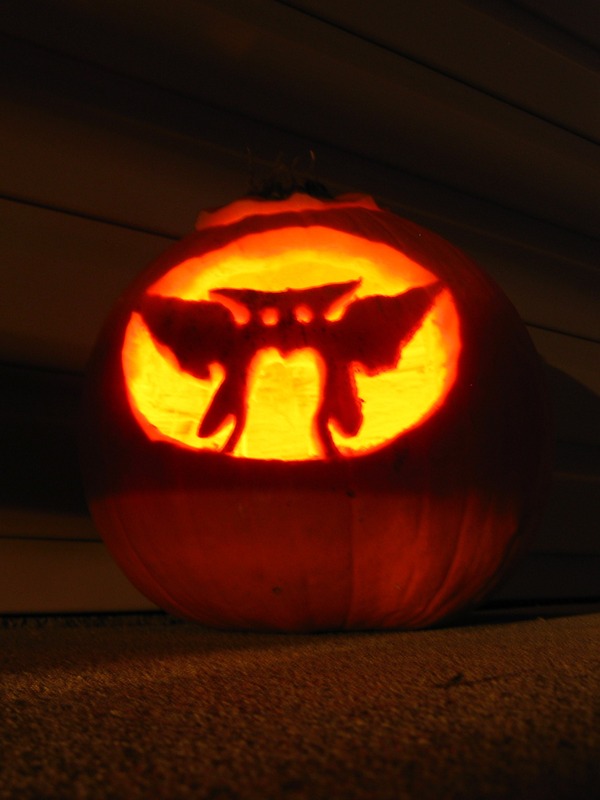 Very cool altho’, like all bats and butterflies, it just looks like an ink-blot to me. I did see someone wearing a body-suit with an entire skeleton drawn on it (I know, craaazy). Does that count or does the fact that it only had about 8 pairs of ribs disqualify it? Try out with centrosaurine parietals !!! I copied this photo and plopped it into a slide in the middle of my lecture to see whether my Gross Anatomy students could identify it. They did! Look at those “terror-goid processes”! Sorry… bad anatomy/Halloween humor.